The musical instrument industry is one that is popular all across the UK. People love to play instruments, and the one which is in high demand, is the guitar. 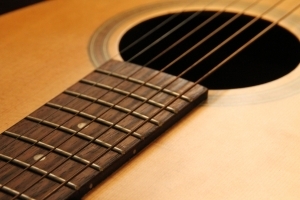 A guitar’s quality is based on its design, the wood used, and the way in which it is set up. Top quality guitars command thousands of dollars, so if you wish to apply your wood-working skills to this niche, you need to make sure that you fully understand what you are doing. There are many aspects to designing guitars for the public, such as wood for the body and neck, wood for the fret board, colour, and avoiding lawsuits from present manufacturers. Wood used to make guitars comes from different areas of the world. Mahogany is a wood that is prised for its ability to allow a guitar to fully resonate when played. It has a great colour, and it is generally a heavier wood. Rosewood is another type of wood which is used. However, it is mainly used in the bodies of acoustic guitars. It provides a rich sound, and it allows the guitar to completely open up musically over time. Both of these woods are perfect options for the body of a guitar. Check wood suppliers to determine the best prices. Another aspect to building great guitars for the public, is your choice of fret board material. Ebony wood is a great wood to use, but it is becoming harder to find. Prised for its dark colour and hardness, it is the perfect wood to use for fret boards because it helps the instrument to reach its full sonic appeal. Since this wood is expensive to acquire, other designers have turned to using a synthetic fret board made of micarta. This is much cheaper to acquire, and most guitar players feel as if it feels and looks just like ebony wood. Whenever you start to design custom guitars for the public, you need to make sure that you check on current designs in the industry. One company, Paul Reed Smith, was sued by another guitar company, Gibson. PRS began making guitars with a patented shape, without Gibson’s permission. This type of lawsuit spells disaster for the custom designer, because they do not have the financial backing to acquire a quality legal team to represent them. Avoid this issue altogether by being certain that your design is completely unique. Allow yourself the time to build guitars for the public. A good quality guitar takes many months to build. This is especially true for acoustic guitars. They require balance and a definite attention to detail in order to stay in tune. Consumers who are willing to spend thousands of dollars on an instrument expect the instrument to be of the highest possible quality and craftsmanship. Never take on more orders than you can handle at a time. Guitar building is a great way to establish a successful business. The key is to focus on what makes a guitar stand out from mundane models.